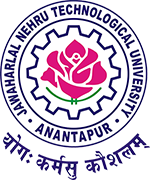 JNTUA 4-2 Time Table 2019: JNTUA B.Tech 4-2 Sem (R15,R13,R09) Regular/Supply Exam Time Tables April 2019, jntu anantapur iv year ii semester end examinations time tables 2019 download. JNTU Anantapur has announced B.Tech 4-2 Semester R15, R13, R09 Regular and Supplementary Examination time tables April 2019. Students may download their 4-2 sem time tables from link given below.